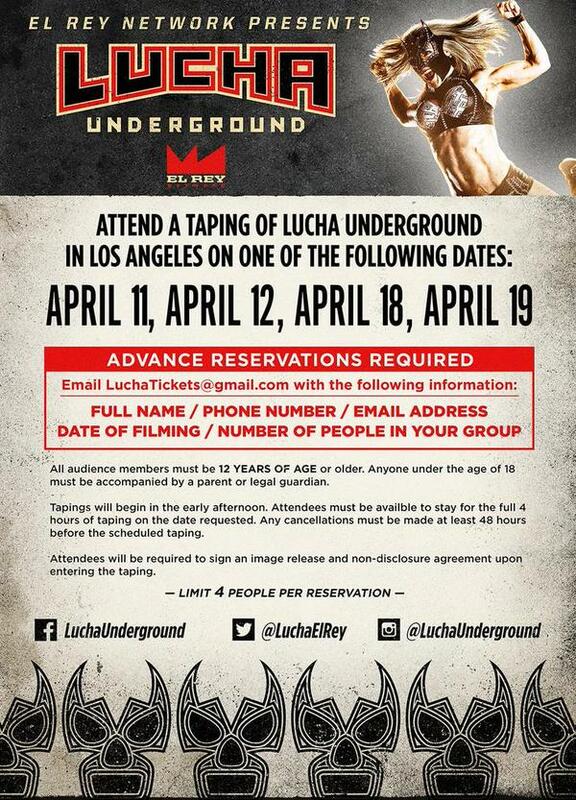 Lucha Undergound released its April Taping dates this morning with one change..You can only reserve up to 4 seats for these tapings instead of its usual 6 seats due to the popularity of Lucha Underground. Follow the steps on the flyer to reserve your seats. You’ll receive a confirmation email from Lucha Underground later in the week if you’re able to reserve seats for April’s TV Tapings.